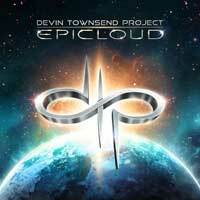 What's to expect other than the unexpected from the Devin Townsend Project? Nothing is standard, nothing run-of-the-mill, nothing is just like what it was on the last album. 'Epicloud', the first album after the quadrilogy consisting of 'Ki', 'Addicted', 'Ghost' and 'Deconstruction' is a cornucopia of sound - true to the compact style and sound of Townsend. The ears get little rest when listening to this master piece. From the very outset, Devin Townsend surprises with an a capella gospel intro (sorry for being a spoiler), and from there on it's a journey into styles with the compressed, bombastic sound which Townsend is known for. Even if there's gospel and quiet pieces of ambient beauty (Grace and Hold On intro), Devin is wearing the BIG rock boots this time. Epic and loud are fitting terms indeed! If you get high on atmosphere, big rock sound and world class songs, you really don't want to miss out on this one! I can't wait to see the rock/metal monster called Devin Townsend Project live at the Aalborg Metal Festival in November, that's for sure!